SingPlus turns your mobile phone into a pocket-sized karaoke machine. 1.Sing with Unlimited songbook: Hindi, Tamil, Telugu, Marathi, Kannada, Punjabi, Naija, Gospel & many more regional, Bollywood and Nollywood songs for free! 2.Choose the right pitch while singing along to the lyrics. 5.COLLAB with celebrity and friends, or join a duet to gain fans. you’re the star of tomorrow! 3. Sing with professional voice effects and sing karaoke like the star you are! Sing along to the lyrics, add special sound effects to your recording like Pop, Rock, Hip Pop, R&B, Electronic, Phonograph and Jazz Bright, adjust your vocal volume and karaoke volume as well as vocal timing. Share your cover with all your friends on Facebook, Whatsapp, and more to get music fans after published in Sing+. SingPlus was added by Viola in Dec 2017 and the latest update was made in Dec 2017. The list of alternatives was updated Dec 2017 There is a history of all activites on SingPlus in our Activity Log. It's possible to update the information on SingPlus or report it as discontinued, duplicated or spam. 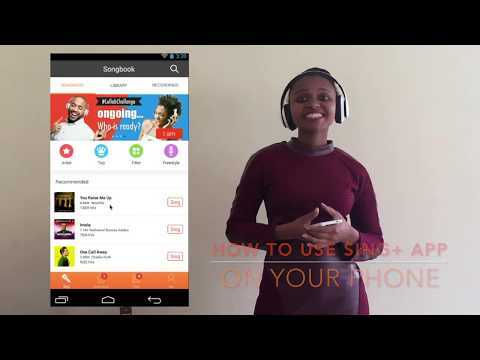 Alternatives to SingPlus for Android, iPhone, Android Tablet, Windows, Web and more. Filter by license to discover only free or Open Source alternatives. This list contains a total of 8 apps similar to SingPlus. Maybe you want to be the first to submit a comment about SingPlus? Just click the button up to your right!